Soundcore by Anker launches its newest “Liberty Air” Earphones that guarantee Pure freedom from Wires paired with Superior call quality, Push and Go for easy pairing and graphene enhanced sound. Ergonomic in ear design with Ear Tips in multiple sizes, brings tailored fit to each ear size. The One-Step Pairing ensures immediate connect to the device. A seamlessly concealed sensor in both the earbuds enables seamless operation. The Two built-in microphones with uplink noise cancellation boosts clarity by recognizing user voice and filtering out ambient noises to ensure crystal-clear sound even in noisy spaces. The Stereo calls further enhance call quality by allowing you to hear the other person’s voice in both earbuds. Furthermore, the Graphene-coated drivers oscillate precisely, enabling Liberty Air to reproduce highly-accurate sound. Every detail of the music, from the deepest bass, to the brightest mids, and lush treble is delivered with extraordinary clarity and no distortion. 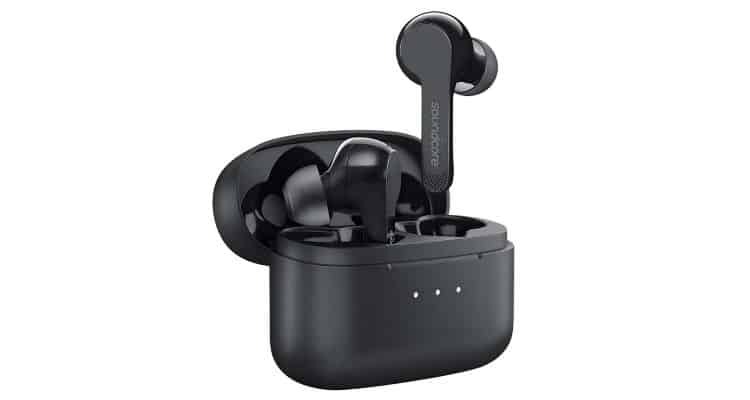 Establishing the unbreakable connection, the latest Bluetooth 5.0 technology and a FPC antenna creates a rock-solid connection for skip-free music. An Anker certified battery and a new generation Bluetooth chipset drive brings ultra-efficient power consumption for up to 5 Hours of playtime from a single charge and extend to 20-hour playtime with the charging case. The product comes with 18 months of warranty and is exclusively available on Amazon.